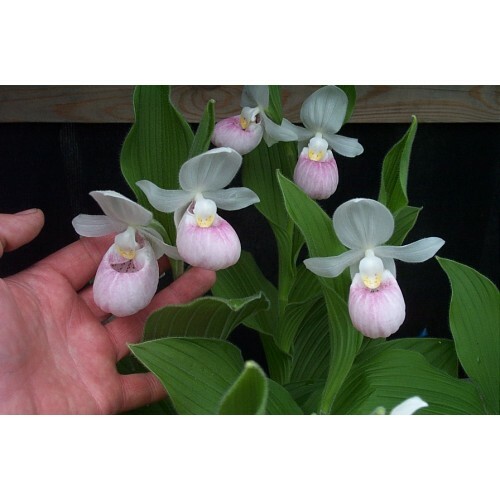 Cypripedium reginae - the native showy Lady Slipper. 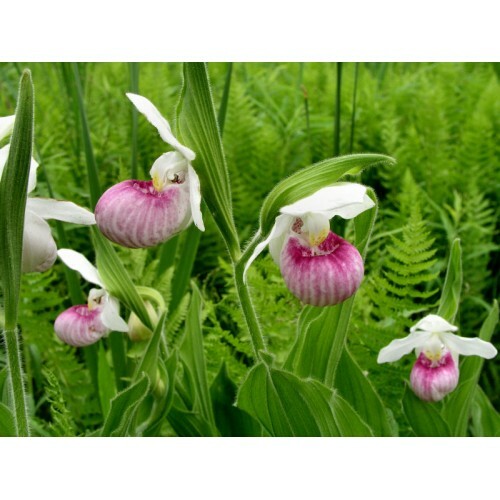 Common name: Showy Lady’s slipper, Queen’s Lady Slipper Orchid . 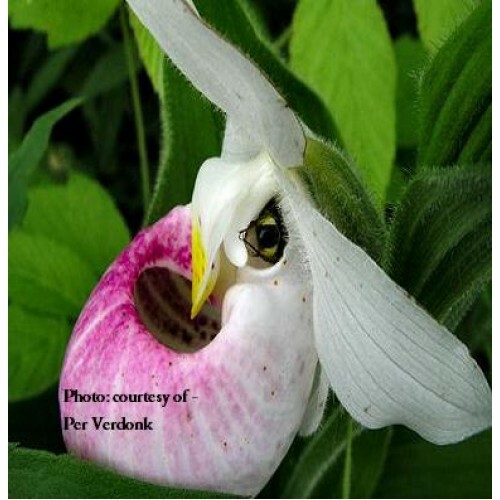 Where to buy Cypripedium reginae orchids. Out starting the 4th week of April-2016. US Mail – 2-3 Day Service. 05 series means five years out of test tube on soil. Blooming aged orchid plants. single and two stemmed plants. - Flat rate Shipping is $12.95 any size order, mix and match any items.